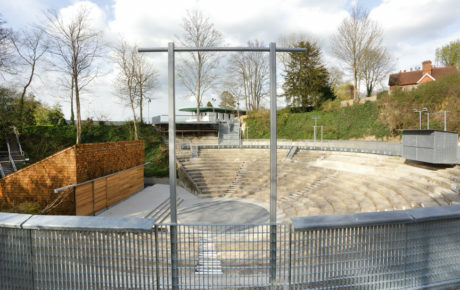 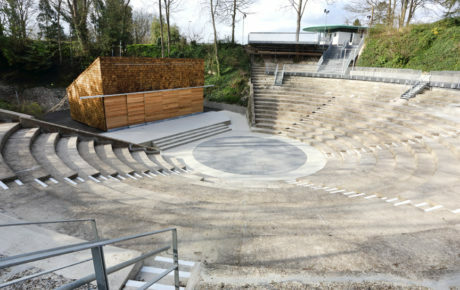 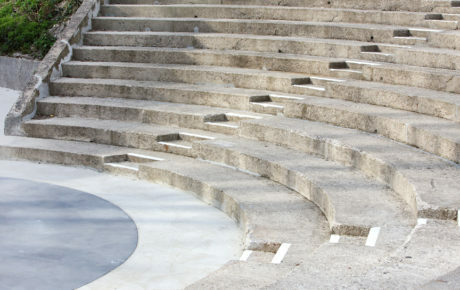 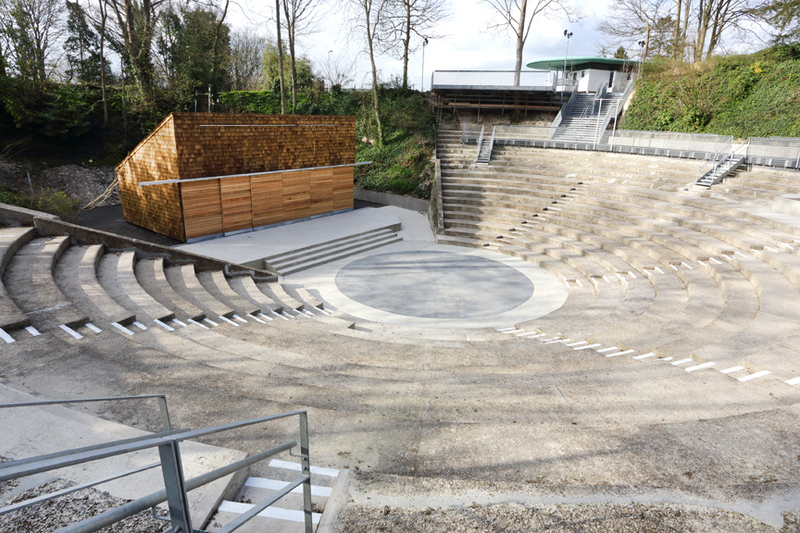 Renovation of Bradfield College’s Greek Theatre to return a much loved and unique theatre back to the heart of the College and local community. 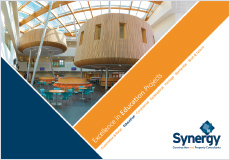 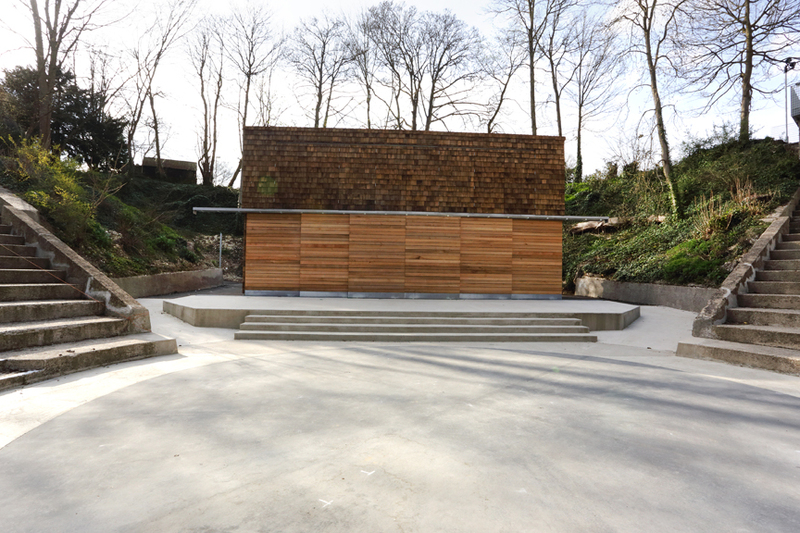 Work included the restoration of the original stone seating and the construction of a new timber framed Skene to replace the demolished temple building. The`Skene’ was clad in shingles with sliding screens to form the backdrop to the stage. 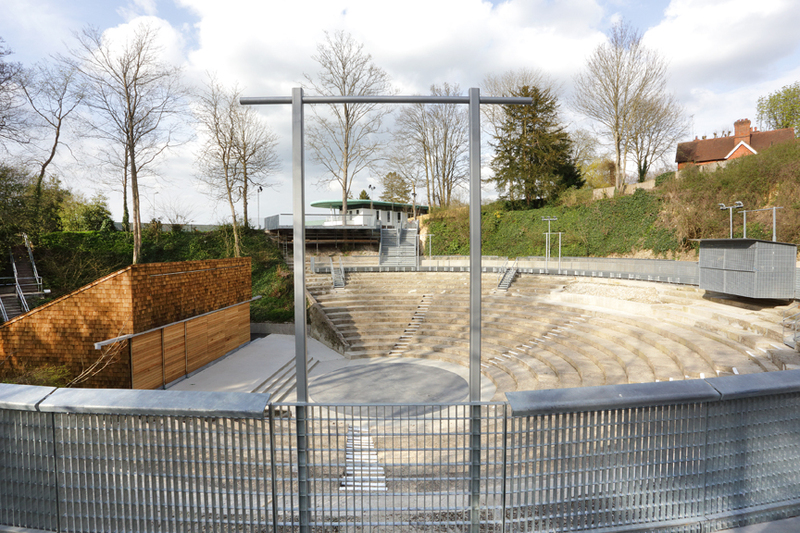 A new and striking entrance was created combining a granite paved `Agora’ and a galvanised steel viewing platform which cantilevered over part of the amphitheatre. 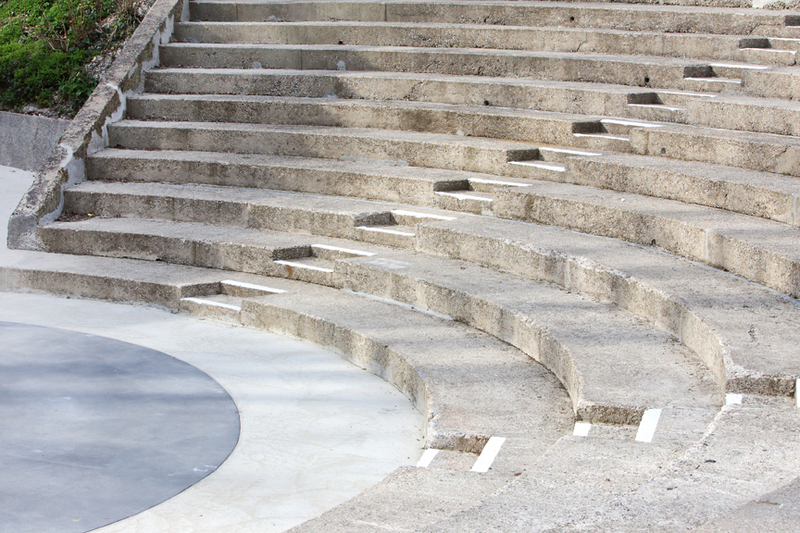 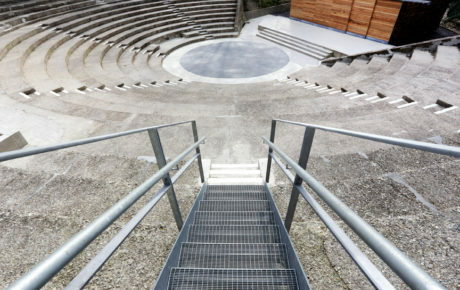 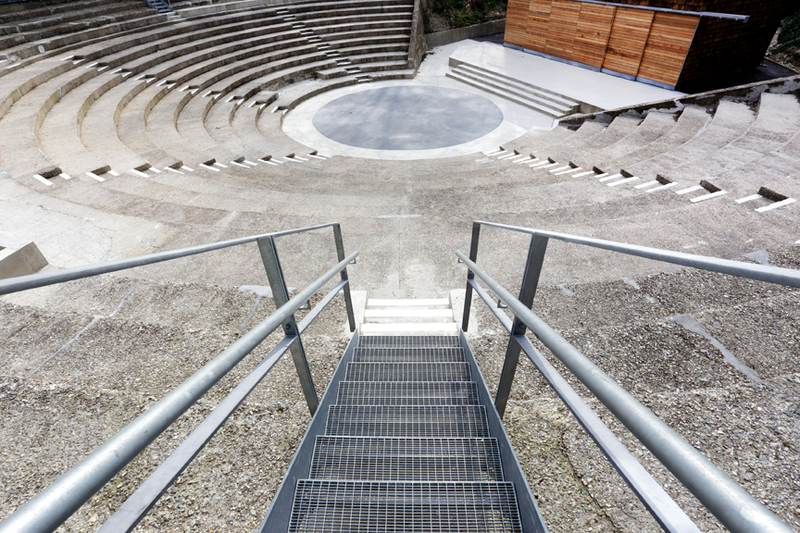 The main access is now off the Agora via an imposing galvanised steel staircase which leads on to a new concrete walkway with a galvanised steel balustrade around the entire amphitheatre.